My buddy at work, Dan, has been giving me all sorts of drawing ideas. 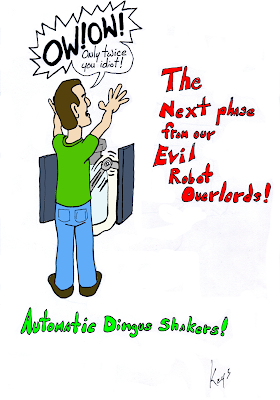 It began a few weeks back when we were talking about how automated the bathrooms were becoming and he replied that it was part of the plan of our "Evil Robot Overlords". No more than three times, or else! This week he has been distraught by a very demanding customer so he keeps quoting the movie "The Omen." Specifically the scene where the nanny commits suicide for Damien. 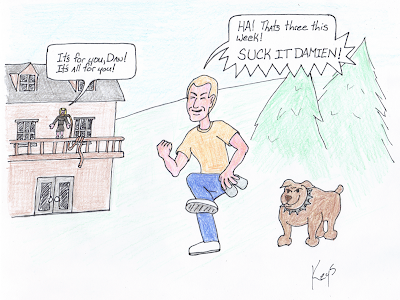 Dan wails out from his cubicle, "It's all for you, Damien! All for you!" 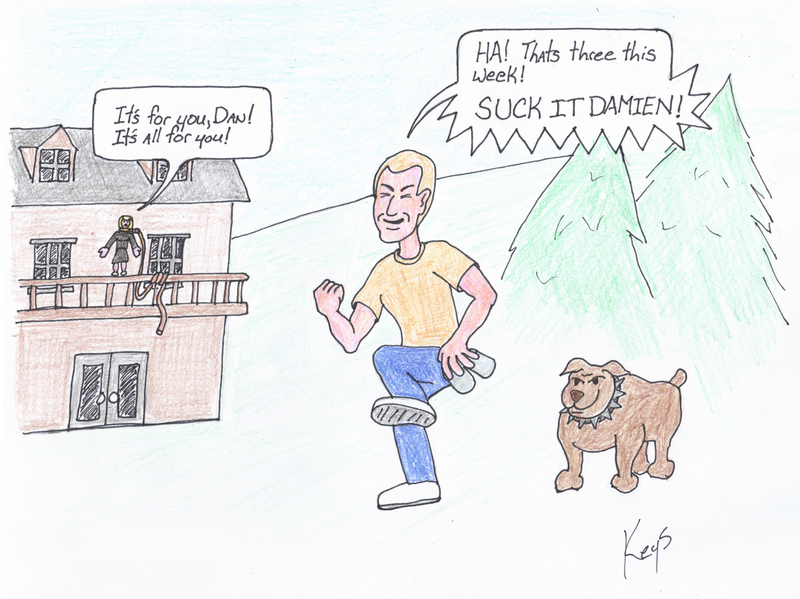 Yeah, Damien; we know who "The Man" is! Perhaps I will be cured of my madness soon... Although I doubt it.